It’s an often-repeated claim that with self-driving and connected cars, traffic will get much better. However, generally, this is assumed to only be helpful when all the cars on the road are connected and self-driving. But a new study from the University of Michigan suggests we won’t have to wait until every car is fully self-driving and talking to the cars around it to benefit from these futuristic systems—just one self-drivng car on the road can have an effect. This benefit comes in the form of avoiding “phantom traffic jams”—those irritating traffic jams that happen when one person steps on the brakes during a certain amount of traffic, so the person behind then has to step on them a little harder, and the next person a little harder behind them, until soon there is a shockwave of stopped cars rolling backwards up the road, seemingly without cause. The problem-solving connected car, using short-range radio or a 5G connection to the cars and infrastructure around it, can anticipate the slowdown and reduce speed more gently, thus preventing a jam or at least alleviating an existing one. This was tested by the research team putting eight cars onto some roads in southeast Michigan equipped with devices to broadcast their speed and direction. One was chosen to work as the autonomous car, and then the band drove around in a convoy, until the front car stomped the brakes, starting off a shockwave traffic jam. 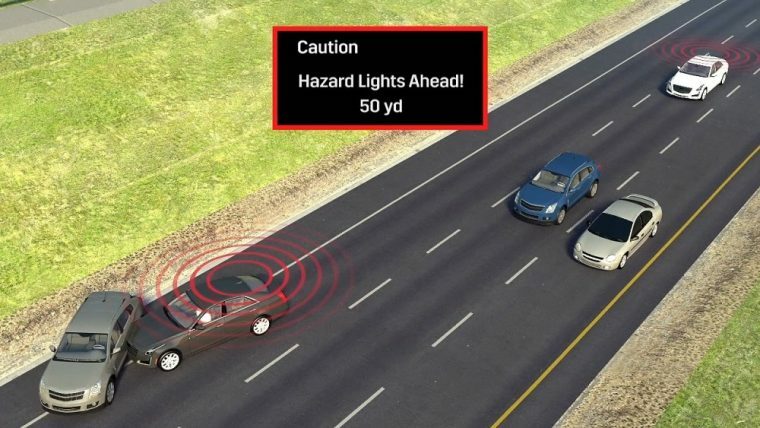 The autonomous car’s gentle braking in response kept the driver from being tossed around the vehicle, kept the cars behind it from bunching up, and overall saved energy (about 19% in the connected car and 7% in the vehicles behind it). This seems to back up a similar study from the University of Illinois published last May, which found that if one in 20 cars are partly automated it could eliminate the phantom traffic jams. Heck, maybe we should all be pushing for vehicle-to-vehicle communications to be mandatory, if only to eliminate these jams.